Updated Sunday, March 27, at 9:49 a.m. The western United States went big for Sen. Bernie Sanders (I-Vt.) on Saturday. Sanders defeated former secretary of state Hillary Clinton 73 percent to 27 percent in Washington State, where 101 delegates were on the line. He bested her by similarly large margins in Hawaii, 70 percent to 30 percent, and in Alaska, 82 percent to 18 percent. In those smaller states, the Democratic presidential candidates were competing for 25 and 16 delegates, respectively. 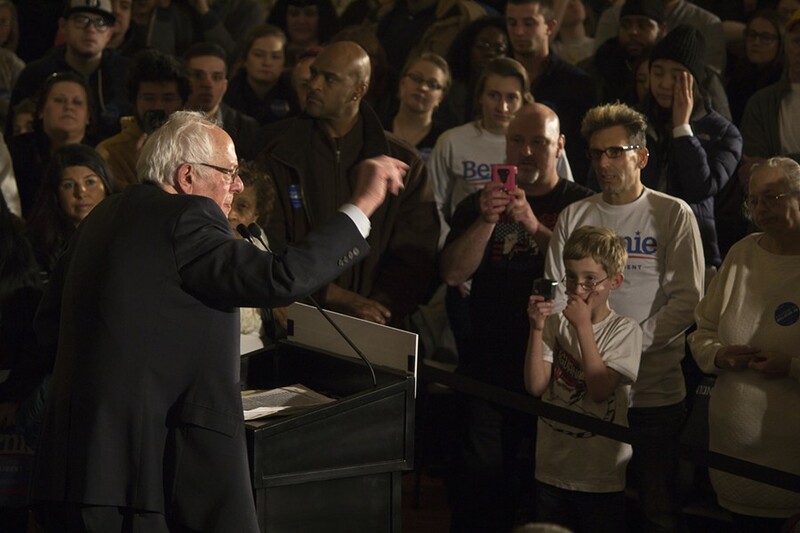 Speaking Saturday in Madison, Wis., Sanders said he was "on a path toward victory." "It is hard for anybody to deny that our campaign has the momentum," he told a large crowd at the University of Wisconsin. Clinton came into Saturday’s contests leading Sanders 1,223 pledged delegates to 920. Though the senator clearly cut into that 303-delegate advantage, it was not evident Sunday morning by how much. According to counts by the Associated Press, Sanders picked up a combined 30 delegates in Hawaii and Alaska, while Clinton added just 11. Only a third of Washington’s delegates had been apportioned by Sunday morning — Sanders took at least 25 and Clinton 9 — so a comprehensive delegate count was not available. Sanders’ wins are likely to provide a burst of energy — and donations — as the campaign heads into a 10-day break from voting. The next state up is Wisconsin, which votes April 5. Two weeks later, New York’s 291 delegates are up for grabs. But Sanders still has a long road ahead. In order to close Clinton’s pledged-delegate lead, he will have to win the remaining contests by roughly 60 percent. And even if he ties her among elected delegates, superdelegates could still push her over the top. Those unelected party leaders currently favor her 469 to 29, according to the Associated Press.